Check out all the great programs funded by the Parkinson’s Foundation ~ Press Release. *Scroll down for Free Weekly Movement Class Descriptions. All people living with Parkinson’s and PD care partners are invited to attend. See class Sign Up information below. Are you interested in supporting your community? Become a Parkinson’s Movement Initiative Volunteer! We are looking for volunteers to support Dance and Pilates for Parkinson’s. Learn more here. 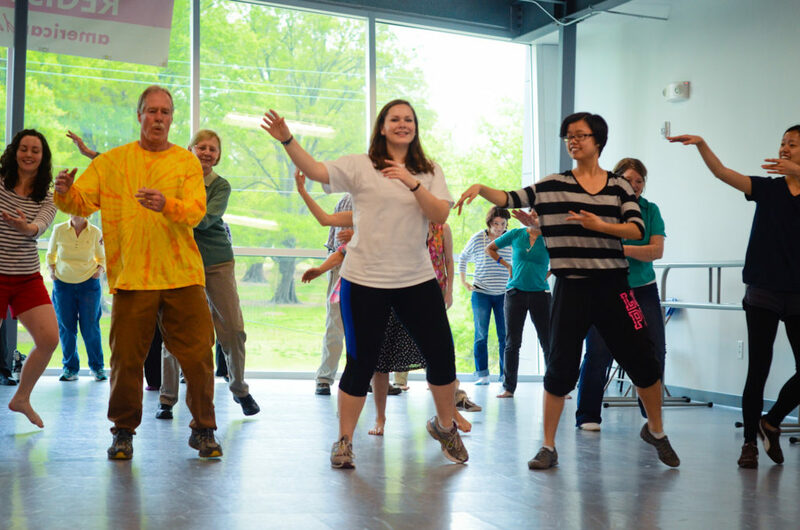 Participants learn choreography in a variety of dance styles including ballet, modern, jazz and cultural/folk.Class includes movement seated, standing and locomoting with adaptations based on individual’s comfort level and mobility. Participants dance together, in partnership and solo. In addition to dance, related art forms such as theatre games, poetry, image-based mindfulness, and storytelling foster creative and expressive experiences. The class promotes as sense of community where isolation is broken and meaningful connections are formed through the joy of dance. We begin with a quick check-in ~ How are you feeling today? Any issues from last week’s class? What would you like to focus on today? Class consists of a warm-up focusing on alignment, exercises challenging strength and balance, and a cool down for stretching and relaxation. All exercises are explained and demonstrated with options for beginners as well as more advanced participants. Time is spent seated in a chair, standing with the wall, chair or bar for balance and on the floor. Each week we enjoy new ideas for improving strength, flexibility and balance. Participants are regularly reminded to explore their limits and to pay attention to their body. We also laugh a little. Class ends with a quick check-out ~ How are you feeling now? Any concerns? What worked well in class today? 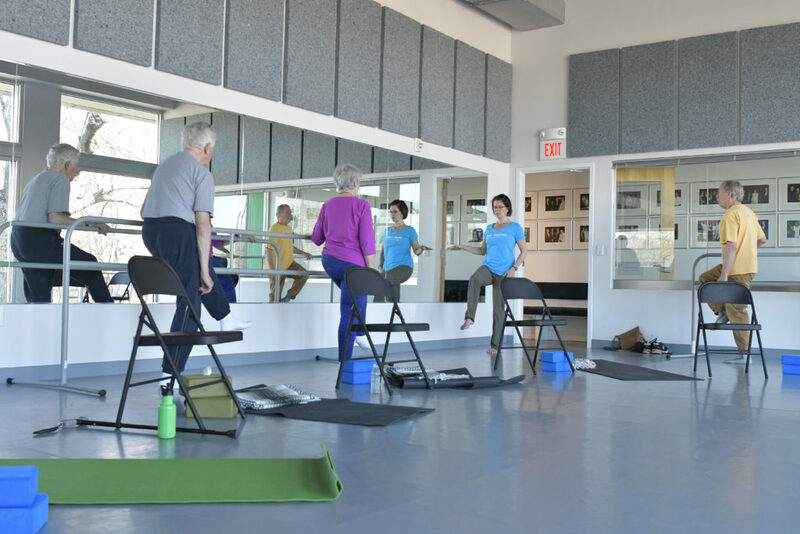 Check out what people are saying about Pilates for Parkinson’s. Signing Up for each class in advance is not required but is recommended. Classes have a maximum number of participants. To “reserve your spot”, visit the ADF website and Sign Up. NOTE: If you do not Sign Up for class and it is full when you arrive, you will not be able to participate. This is to honor the safety of all participants. Click here for ADF Website & class Sign Up. Creating an account is required to Sign Up for class. Signing Up is a wee bit confusing, contact Julia Pleasants at ADF if you would like assistance – 919-797-2871.